Tumble Bees, Tumble Bees, Tumble Bees is here! Click here and go have yourself some fun! Fall is here and I do miss the fresh fall air of Wisconsin this month. Last week, I went for a fall hike on Mount Hood in the Portland, Oregon area. The trees were just starting to change colors and I thought of those of you, Pogoians, who may be experiencing this beautiful weather. Here’s a picture I took with you all in mind. Lottso Express will be here and ready to play on Pogo on Tuesday, October 23rd! Here’s a Sneak Peek of what you’ll be able to experience in just a few short weeks. The scratch cards are really well done and if you look, you can see Cap’n Pinchers in there! Welcome to the Construction Zone! Here is where you will find the latest on game updates. What is currently “under construction” on Pogo? As often as I can, I’ll sit down with the Pogo team and get the latest info on which games are being worked on and what’s coming. I will always post more details when I have them available. Please understand updates are subject to change. Please understand that unless an announcement comes directly from EA and/or Pogo, we cannot endorse it as true. All games and updates reported here in the Construction Zone have been given the “go ahead” and are on track to come out. Anything else that is reported is speculation right now. Autumn Odyssey – A unique new Challenge is coming soon. This will be a seasonal event that will start at the end of October and run for one month. This will be different than the Magic Marathon, however! Keep your eyes on the blog for more informational articles as the end of October approaches. Jewel Academy – New levels out now! Click here to play. Jet Set Solitaire – Out today! We love just how excited players are about this game – which is why we’re focused on adding more and more fun locations to the game! But as we’ve done that, the map has become, well, a bit too crowded! (Don’t worry, they’re working on updating that and a few other things – details coming soon!). So, with the release that went out overnight, players will not be able to access the first map of San Francisco and the last map of Miami by using the dot at the bottom of the screen. Instead, players must use the arrows to access all of the maps. Thank you for your attention to this matter. Please see images for reference. Tumble Bees HD – Out now! Click here to play. 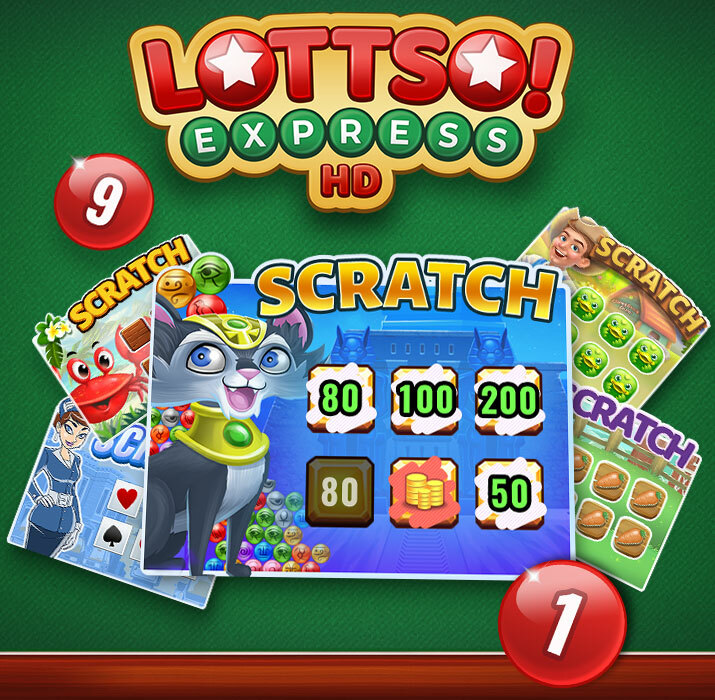 Lottso Express HD – Slated for later October. Tri-Peaks Solitaire HD – Slated for late October. Claire Hart Classic – Slated for December. (This was originally reported to be November but now pushed back to December). With Claire Hart Classic, all of the episodes that you have purchased in the Flash version of Claire Hart: Soul Searcher will be owned by you in Claire Hart Classic! We’ll be giving you more details as the release date approaches. Also, a new Hidden Object Game by the developers of Vanishing Trail and Grub Crawl is slated for November. More details on that game coming soon! Turbo 21 – In the bonus round, the timer starts before the cards appear. This has been fixed with last night’s update. H5 games using Safari on mobile/tablets – We’re currently in the process of updating Pogo games so that they’re more fully supported on mobile and tablets, and the functionality of Pogo on mobile/tablets with Safari is part of this; currently, it’s working as intended on Safari as we to adjust games and their mobile functionality. September Game of the Month- Thank you to all who participated in September’s Game of the Month, Crossword Cove, and we sincerely hope you all had a great time with it. If you completed all four of the gift badges before 11:59pm PDT on September 30, 2018, you’ll have qualified for a bonus Game of the Month badge. The completion badge for that will be sent out this week. Pogo Expressions – Token pricing has been removed and any Expression which previously had a token price attached to it is now free! Tokens – As many Pogoians may be aware of at this point, the current token system will be replaced with a new award system. As stated in a May 2018 blog, I, and the rest of the Pogo team, know this is a point of contention with some players. For those of you for whom tokens provide a way to project status and achievement over time, we hear you and we understand your aversion to losing this status. Tokens in the current Flash and Java games will remain and will not be removed. Thank you for your understanding. Stay tuned for more information about the upcoming system for Challenges. As I noted in the “Coming Up” section above, we’ll be showing you more information about this starting in December so that you can all get a sneak peek of exactly what the new reward system has in store! Safari 12 and Java – Please click here to read more about Safari’s latest update. Java 11 and Internet Explorer 11 – Please click here to read more about Java’s latest update and what that means for Internet Explorer 11. Pogo recommendations and specifications for your computer – The specs have been updated as of August 14, 2018. These are the recommended specifications for playing Pogo games smoothly; please click here in order to find out more about these recommendations to help ensure that Pogo games run more smoothly on your computer. New Pogo Sign-In Experience – The new Pogo sign-in experience has started the process of the second part of the two-step process. Click here for the latest information and videos explaining three different scenarios a player may encounter. Chat – An Insider question was answered in the last Pogo Insider regarding chat. To read it, please click here and then scroll down to the Insider Question section. This is a new little section I’m adding to let you know more about some site features and beyond that we’ll be tackling in upcoming editions of the Pogo Insider Blog. Pogo Insider Q&A with Pogo Terry about ….Tumble Bees! Pogo Llama: Welcome back to the Pogo Insider studios, Pogo Terry. I’m excited to talk all-things Tumble Bees HD! (Btw, Pogoians, click here to check out the new Tumble Bees HD as it was just released today!) LINK. My first question is something I just really want to know….How long have you been working on bringing Tumble Bees HD to the Pogo masses? Pogo Terry: Hello to all in Pogo! The Pogo team has been developing Tumble Bees HD for about five months now and they have been very excited to get this classic gem of a game into our players hands. Pogo Terry: Much like a lot of our HTML5 remakes, we try to keep as much with the original game as we can so no new features have been added. Sometimes we’ll run into a few minor details where we feel something could use some quality of life improvements to improve the player experience, so we’ll make some adjustments. For Tumble Bees HD, all of the same gameplay and music is intact and Boogie Bear’s antics are still there in fun ways. Our animators also gave all the characters more life and the graphics look more vibrant than before. Pogo Llama: As you just worked on a Pogo classic, Poppit! HD, what was it like to work on another Pogo classic, Tumble Bees? Pogo Terry: It was a great experience working with the team on this game. What I love about Tumble Bees are the characters, so we wanted to make sure they looked even better and had more character in the updated version. Pogo Llama: You just read my mind, Pogo Terry, as I wanted to talk about the art for Tumble Bees. I’ve been watching the art development for Tumble Bees these last few months and I know the Pogo art team put their heart and souls into this. Can you discuss the art direction for Tumble Bees? I’ve noticed Boogie Bear had an updated look and I really like it! Pogo Terry: As we had to update the game to work with HTML5 we needed to update the graphics and some animations. Much like a lot of our recent HD games, we have a higher color palette to work with now, so the game can look overall more vibrant and colorful. Our team also had a fantastic animator who knew how beloved Boogie Bear was and did an amazing job capturing Boogie’s look and personality. Boogie Bear has been updated, but his spirit remains for sure – just as it does with our friend, Kiki the Bee! Pogo Llama: Thanks for explaining that, Pogo Terry. I realize that with these updates comes a lot of changes and it’s great to see the why and how the process works. Next question, when you’re playing Tumble Bees HD, what do you find to be the most fun? Pogo Terry: Oh! It’s hands down when filling that honey jar up and watching Boogie Bear’s hungry reaction. It always amuses me! Gameplay wise, I love getting a lot of green and blue jelly to create a crazy chain reaction. Pogo Llama: I love it. I can’t wait to see what our fellow Pogoians love the most about the HD version of Tumble Bees. Thanks so much for stopping by Pogo Terry. Now, please, go take some time to relax. Two games back to back is no small feat, but we, the Pogo Community, certainly do appreciate all your super hard work. Every week I answer a non-technical question related to Pogo. We get lots of questions every week, so I try to focus on common themes or the same question coming from different folks. Please ask your non-technical related question in the comments section of the blog. Q. I’m having a hard time with some of the Challenges. Where can I go to for tips and help? A. The Pogo forums! Honestly, that’s the best places for tips on games and that includes any Challenges and Events. I just took a look through the forums right this minute and there are forum threads for tips on Jewel Academy level 138 and there’s even a thread entitled “How to win in Quinn’s” that is very helpful. If you have a question about a challenge, please go to the Pogo forums, read through them to see if your question has already been asked, and if not, make a post. The Pogo Community is really one of the best and most helpful communities out there. I love it and am proud to be a part of it. Have fun and happy Pogo-ing! Here’s a call for questions on Tri-Peaks HD and Lottso! Express HD! I’ll be sitting down with a few of the fellows on the Pogo team and would love to have them answer your questions about those two upcoming games. Please submit your questions for Tri-Peaks HD and Lottso! Express HD below and you may see your question answered by the Pogo team. Reminder: You have until Friday, October 19, 2018, to complete the Magic Marathon! You can click here to read more information about that event. Have fun! Also, and because I just had breakfast, waffles or pancakes?! I love pancakes with bananas and walnuts BUT I also love waffles with strawberries and whipped cream. So I’m curious, which is it you prefer, or do you enjoy both or neither? Take my very exciting poll on that by clicking here. Thank you for reading the Pogo Insider. I really appreciate you being here and can’t wait to read your comments. Take good care and remember that you matter. NOTE: Comments may take some time to be approved. Those which are off-topic or counterproductive to fostering a positive environment will not be posted. Thanks for reading the Pogo Insider! If you’re having troubles loading or getting into a Pogo game, please go to Pogo’s Help Page. Unfortunately, I am unable to help out with any technical questions via the blog. Thank you! Thanks for your game suggestions, happyredwings! Love your picture of the Mount Hood area, I am blessed to see it everyday. Fall in the Willamette Valley and the Cascades of Oregon is spectacular. I hope you enjoyed your visit here!! You are very fortunate to be able to see such a beautiful mountain every day. I did enjoy my visit there so much and I can’t wait to go back again someday. While Clue is still available to play, we will not be updating the game with new episodes. Please click here to read more. Hi Pogo_Llama, how are you? your pic is lovely. The clouds over the mtns, gorgeous. I want to thank you for keeping us updated with whatever and however you can. These complaints cannot be easy for you. So many of us older Pogo players enjoy earlier games, and the newer ones and changes aren’t as relaxing or fun. In fact, I, myself, repeat earliest levels just to get through a badge for most of the newer games, waste of time actually. Quinn’s higher levels are just impossible (yes, I read the ‘helpful hints’ but most of us play like that anyway). Poppit was upgraded and is still good, whereas Word Whomp’s change, although colors are great, the game is no longer enjoyable. Beginning newer games’ levels are fun but when you have to repeat a game over and over and over, and still can’t get through it, becomes frustrating; many of us will no longer be able to, nor want to, play that particular game again. Instead of working on bringing in new games, wouldn’t it be more advantageous if the Pogo team could work on earlier games (jave, et al), changing them into H5, for us long-time Pogoean members? Whatever will be, always wishing you happy days! Thank you for your comment, WolfnPoker. I really appreciate it. I hope you have a good weekend. For the person not able to use IE for java games Palemoon browser still plays java games just fine. Dear Pogo Llama. First, I’d tell you that as a born and raised So Cal kid, I never got to see the Fall until I went to Wisconsin in ’78. I visited Frank Lloyd Wright’s House on the Rock. The 360% view was so spectacular I cried. It took my breath away. I spent 2 years in Middleton. Second, I would like to pass this on to the Art Department: Thank you for the most beautiful Super Secret Badge I’ve ever seen. It’s the red Cardinal with the Pogo logo. Thank you and the team for all your hard work on making Pogo the best game site on the internet. I’ve been a Club Pogo member since July ’03 and look forward to another 15 years. House on the Rock is very beautiful. I haven’t been there for years and need to go back. Thank you for the reminder. I will send you comment on to Pogo Marshall about the Super Secret Badge with the red cardinal as I believe he designed it. Thank you for being a part of Club Pogo since 2003. That’s amazing. Have a wonderful weekend. Hi Pogo_Llama, With everything changing in Pogoland, I was wondering about some of the older Pogo Games I LOVE to play and I never see these highlighted for earning new Mini Badges anymore. Please forgive me if you addressed this in the past….I missed it. Anyway, these games are; Perfect Pair Solitaire, Lottso, Jigsaw Detective, Thousand Island Solitaire, Dice City Roller and Squelchies to list a few. Are these being considered for HD conversion? Or will these be some of those Pogo/JAVA games previously mentioned that are ‘going away?’ Thank you for your comment in advance. Also, I enjoyed the picture of WS you posted. Very nice! If I have any updates on all the games you listed being converted to HD, I will let you all know in the Construction Zone. What great games, by the way! So glad you enjoyed the photo. Have a lovely weekend. Fantastic picture! I mean really nice! What’s with the sign in issues? I logged in as I was told a month ago (with email and password)…then it said, “Great, you are all set”. And occasionally it is still asking me to sign in. So, I sign in with the same email and password that I did when it said I was set. Then I get a message that says my password has expired…choose a new password. Instead of just 10 ranks why not do 20 ranks? I am wondering if an emoticon of a turkey can be added.. Thanks for your suggestion on Pogo Bowl, Glory! Will Solitaire Gardens go HD? This is one of my favorite games! I seen it in one of the blogs slated for some time in November! Will it ever be done & if so when? I have a question for you and do hope that you get this one. I’ve tried commenting twice before earlier today that didn’t have anything negative, simply a question, concern, and comment but both didn’t pass modification. Not the first time. So I’ll just try w/ the question. Love the sticker you posted that made you smile!!! Is there a way to not accept the game of month badges? I just don’t have the time or patience especially with the recent games that have been picked, mainly due to the requirements of each of the badges. I don’t want them in my collections. I’m trying to finish up all of my mix n match badges while doing the marathons, weekly’s etc. and I’ve completed 35/40 so far, but even though it’s only four a month it’s still adding on to the ones that won’t be completed. Any ideas? Thank you so much for your suggestion to decline badges. There is currently not a way to do this at this time, although it has been brought to the attention of the Pogo team as a requested feature. Thank you and have a nice weekend. Hi Pogo _Llama, you may not see this comment, as it is a few days since the Blog entry. But we really do already have a delivery method where people could “decline” the gifts. The one where you open up Pogo and the pop up is there, and you can click the zero gems button. If someone doesn’t want that they simply don’t click the 0 gems. After a few days, we stop getting offered it. There has not been an update to the Pogo App so that it works on newer kindles. I’ll ask the team what’s going on with that. Thanks for asking. Will Tri-Peaks HD still have one free undo per hand? Will we still be able to win Amazonian Wild Cards in the HD edition? I’ll ask Pogo Clement. Thank you! I’ve Tried Everything To Get All The Pogo Games To Play And Still Can’t Get Them To Play… I Can Only Play A Few Am Very Upset With This… Is There Anything You Can Share On This That Might Be Helpful….. Unfortunately I’m unable to troubleshoot from the blog. Please click here for loading help or contacting Pogo’s customer support. I do encourage that as those options will help you solve the issue. howdy is there anyway to replay easier levels on Quinn? also would it be possible to put a counter on the puzzle to show how many moves you have left like there is on escape? and last but not least.. would you consider making the hidden object badge easier for those of us who do not see so well? I had to get my daughter to do the one where you had to get 60 objects on the 6x meter.. with my eyesight the highest I could get the meter to go was 4 lol. thank yall for all you do. At this time, there is not a way to replay the easier levels in Quinn’s. If you’ve already completed all the levels in Quinn’s Aquarium, the game doesn’t stop as you’ll enter Bonus Mode. Once in Bonus Mode, you can continue replaying random levels indefinitely. These will be randomly chosen layouts you’ve already completed and you will still be able to earn rewards. Have you been using full screen when playing the Hidden Object Games? Is the Java-based “Perfect Pair Solitaire” game going to be converted to HTML/HD? I am currently attempting to close out some unfinished PBAs, and I ran across a badge for “Perfect Pair Solitaire”. So, I dusted off IE11. “Perfect Pair Solitaire” is a really fun twist on the Pyramid 13 solitaire game. I thoroughly enjoyed playing “Perfect Pair Solitaire” and winning the “Tunnel of Love” badge. Also, thank you for the 3 new locations in “Jet Set Solitaire”. 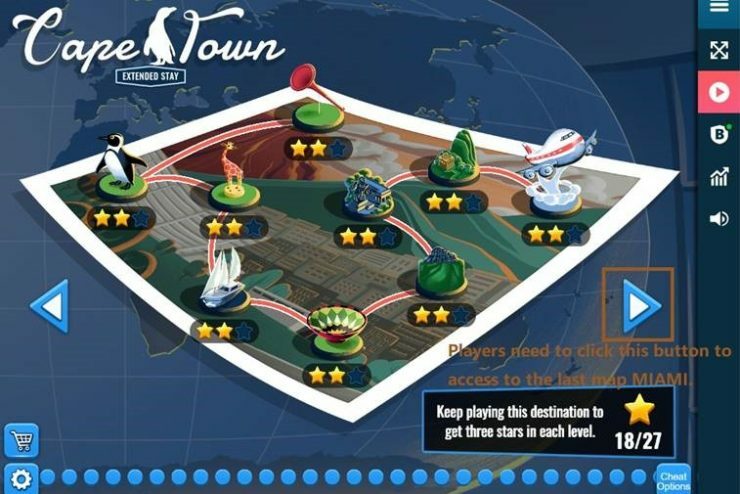 I am grateful (thank you, thank you, thank you) that the number of stars required to unlock the airport levels was noticeably lower than some of more recent “Jet Set Solitaire” locations. I do like your wording on how you dusted off IE11. :) Thanks for your support of Pogo and I appreciate your hard work of finishing some of your previously unfinished PBAs. Regarding Perfect Pair Soliatire: If I have any updates on it being converted to HD, I will let you all know in the Construction Zone. Hi Pogo_Llama! I like the new Tumble Bees HD game and I love the fact the stats are shown. I love knowing how I’m doing in the game!!! That is one feature I miss in the new Poppit HD game, the fact I don’t know my win-loss record. Is there a chance the win-loss feature will be added to Poppit HD at a later time? I’m so glad you’re enjoying the new Tumble Bees HD! I’ll pass your suggestion along for the win/loss record. Thanks so much. Thank you for your comments. I’m happy to hear you’re enjoying Poppit! HD and Word Whomp HD. The speed and smoothness of them really makes for some fun playing. Thank you for your feedback on the Pogo events. You provided a lot of thoughtful suggestions and I appreciate that. Have a really fund and great weekend! Im sorry but I disagree with doglvr2010. Some of us cant afford the magic games and welcomes all the marathons we can get in a month. Please dont cut back the marathon ones. I myself think they are harder and a lot of fun. Thank you for your feedbacvk, Dixie. It is so hard for me to behave when commenting. LOL Love the Tumblebee’s, it’s like being on a picnic…Love color and it is so much easier to play. Everything goes faster and I really like that ! Also the Mini Mall items for it, are awesome :) Autumn is my favorite season , loved your picture ! Thanks, KhloeKat1. Glad you’re enjoying so much. 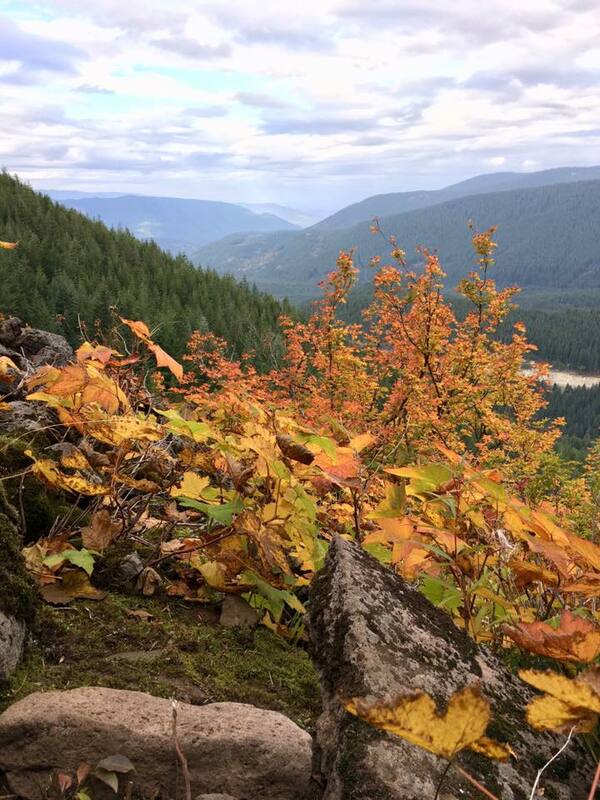 Thank you for sharing your beautiful Fall photo…glad you had such a wonderful hike and photo option. We long standing Pogo members are increasingly disappointed our favorite games are no longer available to play once they have been converted to HD format. Can they not be kept online to choose which ones we like to play? Many attributes of the older games we enjoy are lost in HD as well as play options for these games are eliminated from team tournament play with no replacement games. Is the plan to discontinue team tournament all together ? Thank you for your time and attention Pogo_Llama. Your work is very appreciated by many. Happy Fall ! Thanks for you suggestion and comment. I hope you have a great weekend and happy fall to you as well. with everything going on, I have yet to see any questions, comments or anything about something I feel should be an obvious thing to know. We know games are being updated, we understand images, badges and what not are all being updated, *BUT*, what about the site itself? What kinds of changes or possible changes could we be in store for, come (dare I say) Pogo 2 or Pogo HD? Will the site as a whole be switched to HTML5 friendly. with a similar but updated look?? Thanks for any shred of info regarding this one LOL. Yes, the team is looking into all of these features. As always, when I’m able, I’ll share more. Thank you for your patience and support. Will there be more games going on to the tournament games since several of them going to HD? Or will the tournament games go bye bye? Word Whomp HD, and other Flash-turned-HD games, will not continue to be in the current version of Pogo’s Tournaments. I do not have any further information on Tournaments at this time, but when I do, I’ll let you all know. I have never made a comment before. I have to say the offering of badges and marathons using the same 5 or 6 games for the past year has just gotten to be unbearable. Quinn’s Aquarium is such a delightful idea of building an aquarium, but not at the expense of playing the same level in excess of 2o times to make any progress. Sure, one can choose any level to play AFTER they complete the first two aquariums, but one can’t complete an aquarium unless one can complete 60 levels. This recent month on October was so chaotic with albums, month long, marathon, magic etc., it was hard to keep track of them. Marathons use to be infrequent and anticipated and quite a treat. Now they seem to be the norm. Sometimes the badges are torture, not challenging. Will those who design the challenges consider how many hours it will take for a person of average ability to complete, please? Repetition has made doing badges a chore, not a challenge. I think it might be another year before I even open Quinn’s Aquarium, Jet Set Solitaire or Jewel Academy. And only one level of the storybook game is free, so I am so over that game, too. Right now, POGO isn’t very much fun. Please put the chat on the side as originally done. It is nearly impossible to know if anyone is chatting or asking questions when the chat box is below the game and not visible unless one is constantly scrolling their screen. I do love the HD graphics. I love that now I might be able to play some old favorites. Thank you for your feedback, Yuccalady. Have a very good week and I’m glad you like the HD graphics. Hi Llama, how are you?, It’s a crisp 28 degrees in Wisconsin, boy I’ve got a lot of outdoor work to get done now!!! I’m wondering if there’s going to be a mini show for Halloween? Will you be there? Brrrrrr! You stay warm,Marilyn! Winter is definitely on its way in Wisconsin. There will not be a mini show for Halloween. Hi Llama, hope you are well. The picture is gorgeous! I love fall! Do you have any idea when the spooktacular pba is coming out?…I hope its soon!! Thanks for liking the photo. I enjoyed taking it for you all. When will new ranks be added to Quinn’s Aquarium? New ranks are added to Quinn’s on the second Tuesday of every month. Thank you! Howdy, Pogo_Llama! What an exciting time at Pogo right now, with all of the new HD games being released, badge marathons, new levels for games, etc. The Badge Magic marathon was such a cool idea. I did 50 of the badges and decided that was enough. Whew, that’s a lot of Pogo! Very fun. Tumble Bees HD is fabulous; crisp graphics, smooth gameplay, and all-around updated look. Kudos to the team who developed it! I also love the new levels that were released for Jet Set Solitaire. They strike the right balance between challenging and doable. I like the creative card configurations (upside-down, sideways, etc.). I finished all three new levels the day they were released, and I’m on my way to getting three stars on them. I just am so addicted, haha. I do have one general question about the games being converted to HD. I know that when specific games are coming down the pipeline, you post about them in your column (and do a fabulous job of keeping us in the loop). But what I want to know is, generally, has it already been decided which games are being converted? In other words, is the list basically “set in stone”? Or is it an ongoing thing and not everything has been decided yet? Again, I just mean in general, I’m not asking for a final list or anything. I’m just curious about the process! Hmmmmmm. Well your question about how HD games are selected is a very good one. I’m a bit all over the place with my answer as there’s no one real way of how its done. I think what I’ll do is I’ll think about this one for a bit longer and then have someone from the Pogo team describe the process. I love it when players are curious and I’ll do my best to get a detailed answer for you. Thanks for asking and I do love keeping this great Pogo Community informed. Take good care. ever Autumn Odyssey Challenge Quest! I guess this is the new challenge you’ve been talking about in your blog. Will we get a full month to complete the challenge? Will more information be released prior to this challenge starting? I am curious about this challenge, but I also dread that it will include challenges that are so hard members feel obligated to purchase power ups to complete it. While I understand purchasing power ups is an option, when challenges are so hard that members feel a challenge is out of reach unless they purchase them to complete that challenge, it treads that very fine line between option and mandatory. Non-technical related question: Where are the themed tile sets for Mahjong Escape? When the Halloween ones did not show up I realized I didn’t remember seeing the Valentines, Mother’s Day, or Father’s Day ones this year either….